Dogs have some pretty unique tendencies, but one of their oddest behaviors is their occasional fondness for eating their own poop. Why do some dogs turn to waste as a tasty treat? First, the medical reasons. In many cases, dogs crave stool due to a nutritional deficiency. If your dog’s body isn’t absorbing nutrients properly or producing enough digestive enzymes, he might start eating stool to compensate. Parasite infections are a common medical problem that can lead to stool-eating, as are ailments like diabetes, Cushing’s syndrome, and thyroid disease. In other words, if your dog is consistently snacking on his stool, check in with your vet. Once you’ve ruled out any medical issues, there are potential behavioral factors to consider. While dogs are not as fastidiously clean as cats, some do have a natural desire for cleanliness and eat their own poop as a means of cleaning up. Mothers, for example, will often eat their puppies’ stool to keep their nesting area clean, and puppies may nibble at their own feces while exploring the world around them. For some dogs, eating stool is an act of boredom or an attention-seeking behavior. For others, it may be caused by stress. 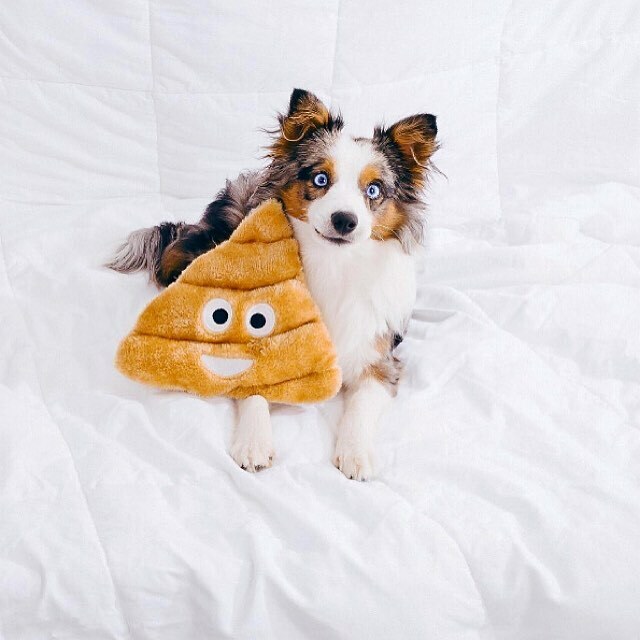 So, how do you stop your dog from eating poop? The best way to avoid this poop problem is to supervise your dog when he is outdoors and to pick up after him immediately after he does his business. It can also help to keep your dog’s indoor living space clean and, if you have a cat, keep that litter box out of reach. Pay attention to patterns and try to identify any environmental stressors or behavioral triggers at play. If your dog is bored or seeking attention, make sure he gets plenty of exercise and poop-free mental stimulation. In the case of puppies, it may simply be a matter of time before they grow up and out of this behavior. If your vet determines that your dog has a nutritional deficiency, vitamin supplementation may be warranted or you may simply need to change his diet. For issues with enzyme deficiencies, increasing your dog’s consumption of protein and reducing his carbohydrate intake may help. Whatever you do, don’t punish your dog. While you might find poop-eating unappetizing, your dog probably has a good reason for doing it. As a pet owner, it’s your job to figure out what that reason is and develop a plan of attack to help your dog drop those droppings. Kate Barrington is an avid dog lover and adoring owner of three cats, a rabbit, and a hoard of guinea pigs. She holds a Bachelor's degree in English and is the published author of several self-help books and nutrition guides.